Global NCAP, a UK-based body governing safety standards of automobiles, recently crash tested a variant of the Chevrolet Enjoy that doesn't offer airbags. The results were quite terrible with the car scoring a zero-star rating for adult occupancy. Apart from the bodyshell integrity being deemed unstable, the car also offers poor protection to the driver's head and chest. Protection for the front passenger's head was weak too, while chest protection was "adequate". However, the knees would sustain a lot of damage due to collision with the dashboard. Child occupancy got a two-star rating, but the child seat wasn't able to prevent excessive forward movement. What's worth noting is that if they had tested the variant of the Chevrolet Enjoy that offers airbags, the rating would have been significantly better. 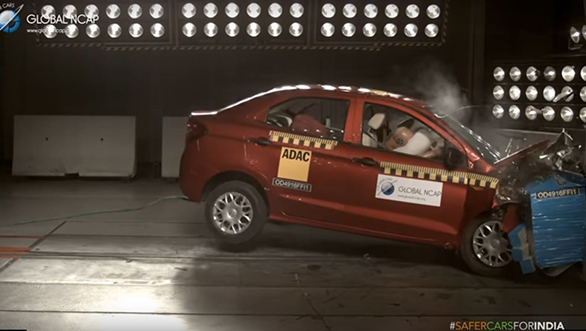 This can be seen from the results of the Ford Figo Aspire, which the Global NCAP tested earlier this year. The Figo Aspire that was tested was again not the top-spec variant and didn't get ABS. However, Ford does offer dual airbags as a standard feature on the Figo Aspire. As a result, protection for the driver's head and neck was good, giving it a three-star rating. However, chest protection was weak while passenger protection was "marginal". 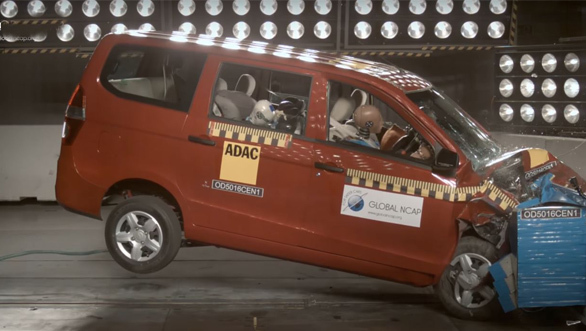 According to David Ward, the secretary general of Global NCAP, the basic safety levels are achievable if essential features like airbags are offered as standard. With regard to the Enjoy, he said, "There is nothing to enjoy about a zero-star safety score, and GM should be embarrassed that they are selling cars with such inadequate levels of occupant protection to Indian consumers."